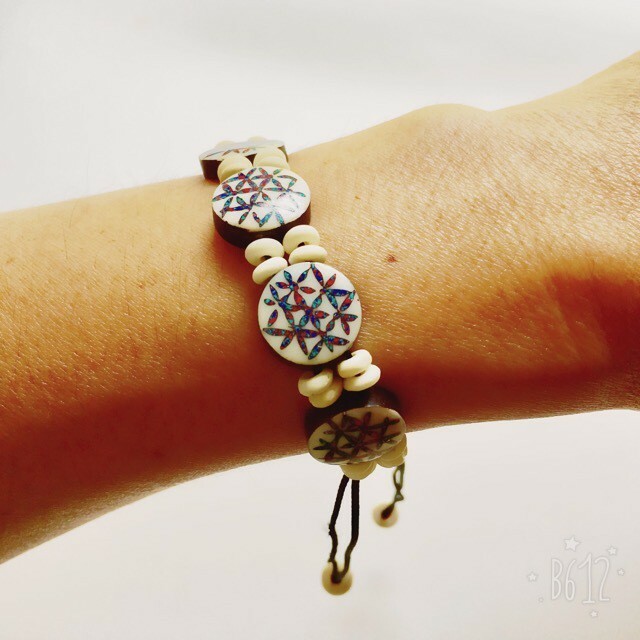 A made-to-order original coconut beads bracelet with “Flower of Life” beads colored with red coral powder and blue Tibetan turquois powder. 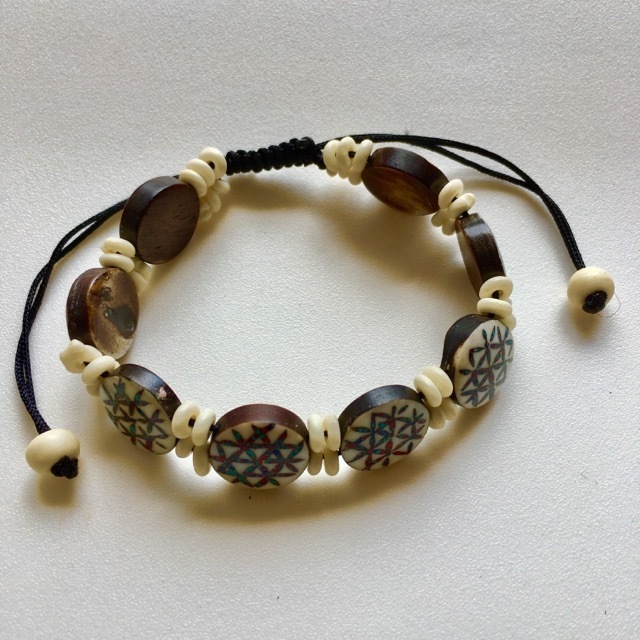 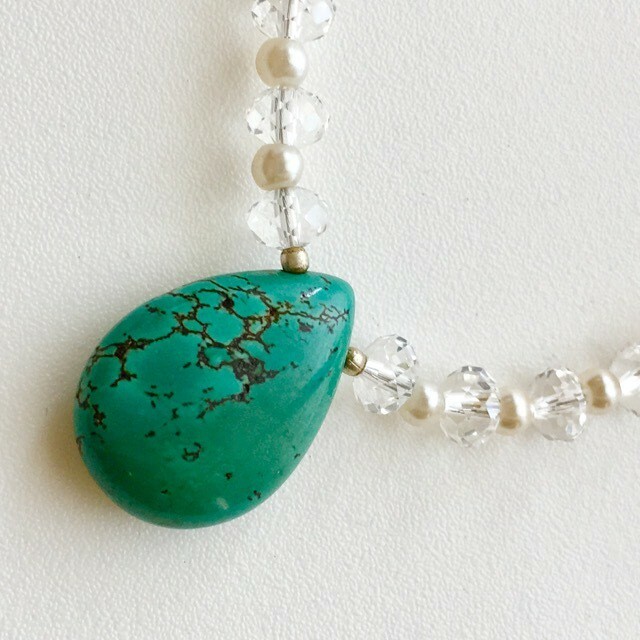 The Nepalese traditional special white beads made of yak horns are used to hold the signature beads. 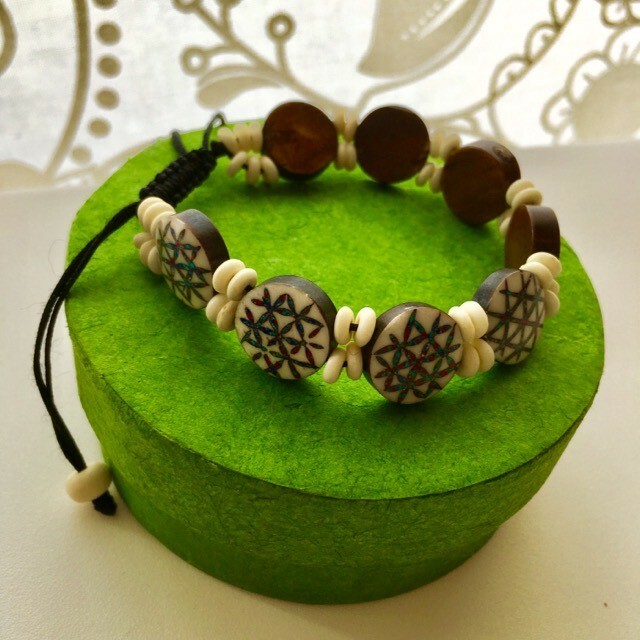 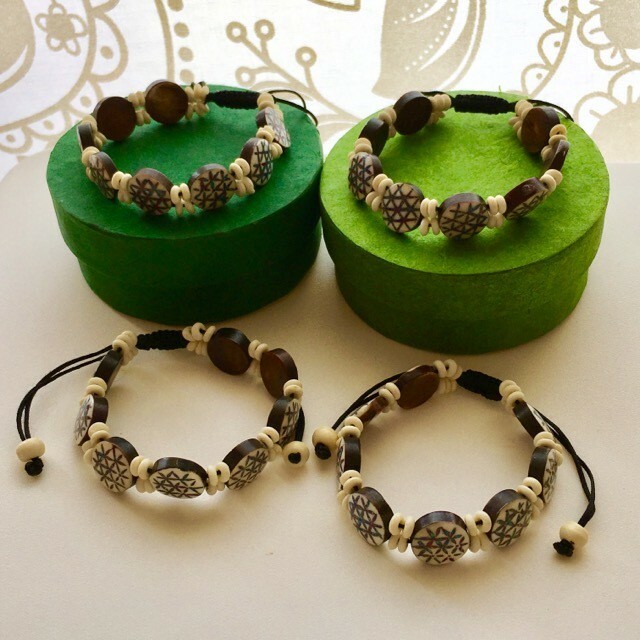 Enjoy the original colors and shades in each products which are derived from natural materials.The bracelet is adjustable with its cotton yarn.